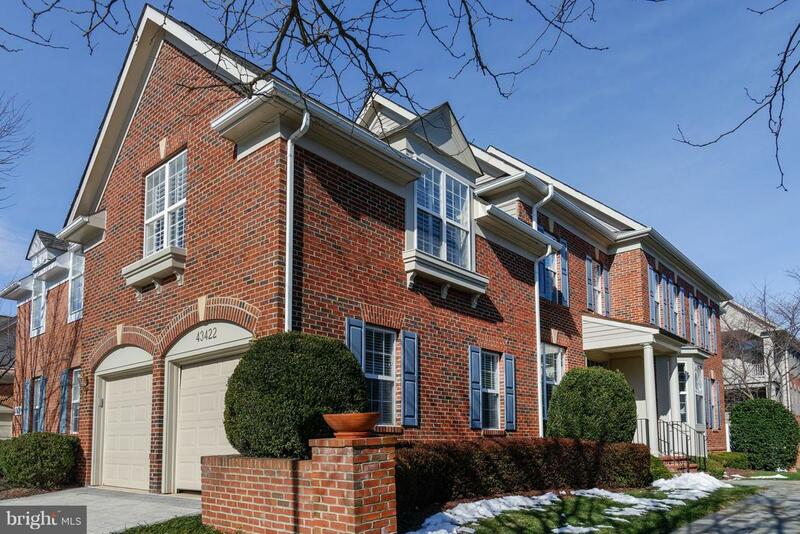 Imagine living minutes from Historic Leesburg in one of NoVa's most desirable neighborhoods...this gorgeous end unit home is in a gated, golf course community with tennis, swimming pools and award-winning restaurant overlooking the Potomac River. You'll immediately feel at home here. New lighting and paint set the stage for a welcoming experience. The main level provides space for casual entertaining with an inviting kitchen opening to the breakfast and family rooms. There is a separate dining room for more formal gatherings. A main level office, separate laundry room allow you to multi-task with ease. 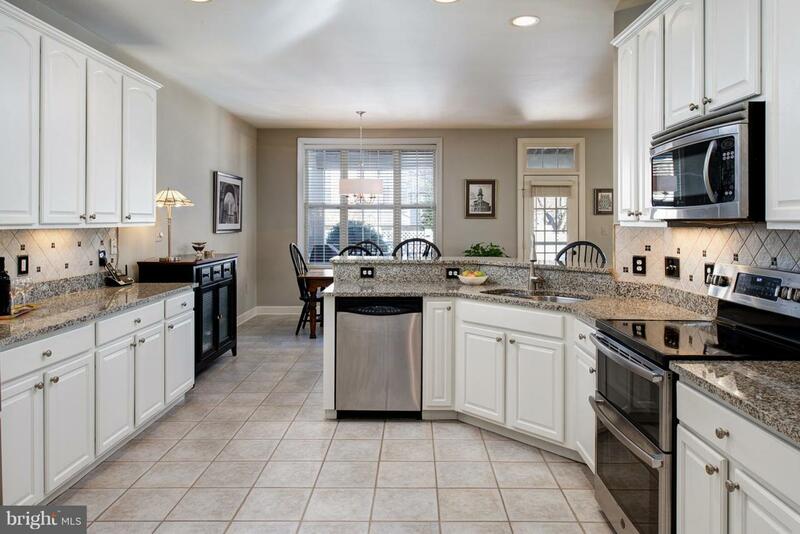 There is abundant natural light, and a French door opens to a covered back porch. From the porch, step down onto the slate patio and enjoy the fenced backyard surrounded by lush landscaping and a stunning, flowering cherry tree. 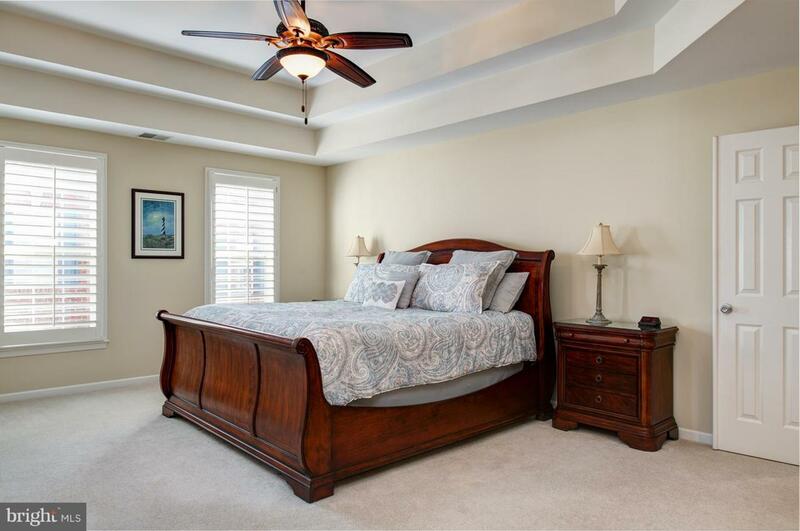 The upper level is highlighted by a stunning owner's suite with huge his and her walk-in closets, double tray ceiling, private sitting room and a serene covered balcony perfect to enjoy a glass of wine. 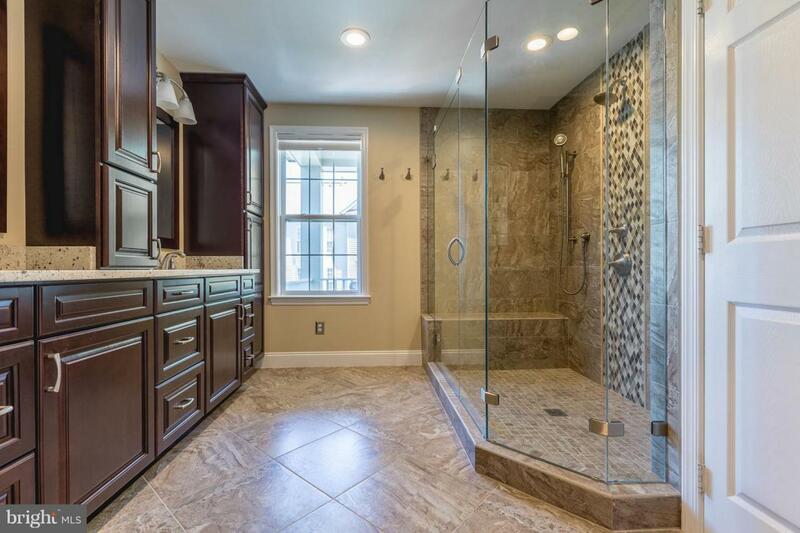 The remodeled (2018) bathroom will delight even the most discriminating buyer! Two more bedrooms and baths complete the upper level. The lower level retreat features a large rec room with enough space for a pool table. A den and full bathroom offer flexible guest accommodations. There is a large storage room, and the freezer and second fridge can convey. Inclusions Basement Freezer And Fridge Can Convey As Is; Paint That Matches Current Colors; Any Extra Tile Or Flooring Supplies That May Exist.